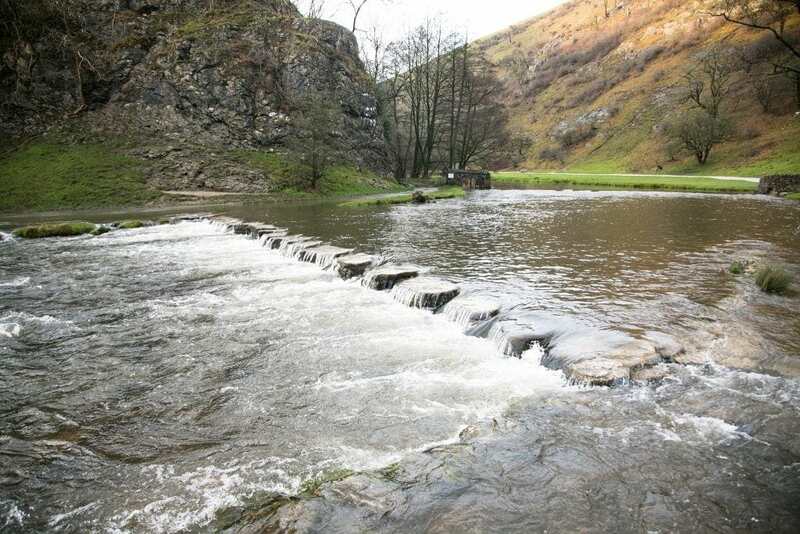 Whilst we were away at Sandybrook Lodges in the Peak District we planned to walk from Ilam Park to Dovedale Stepping Stones. We visited Sandybrook Lodges in the Peak District in the first week of 2018 and had some really terrible weather for a lot of the time. We made the most of the cosy lodges and had some very lazy mornings then popped our raincoats and wellies on and went out for the afternoon for as long as we could. You know what they say – there is no such thing as bad weather just the wrong clothes. 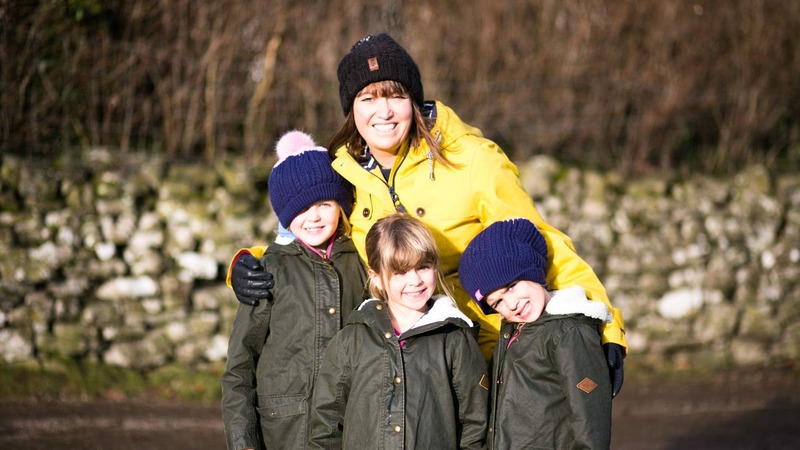 All our raincoats were sent to us from Joules and are part of their Right as Rain Collection if you’d like to check them out. 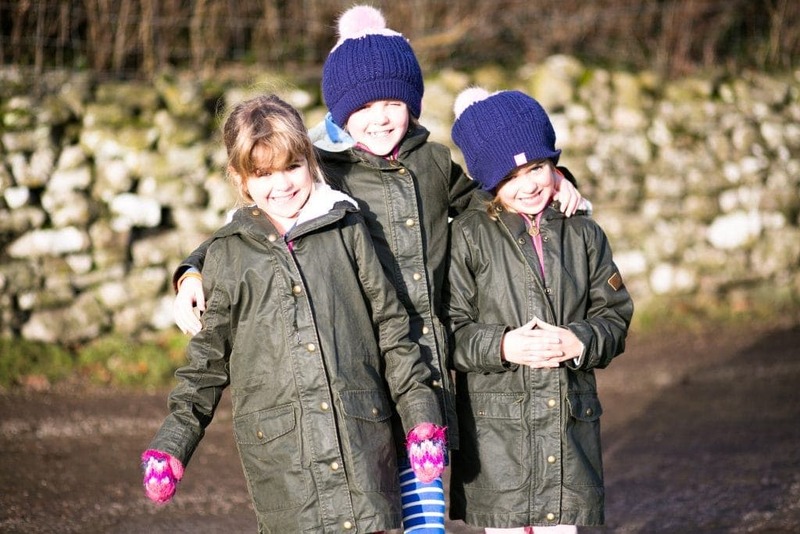 The girls coats are the Clover Faux Wax Parka’s and you can get these for girls age 3-12, they have a lovely polar fleece lining to keep them warm but are also waterproof! 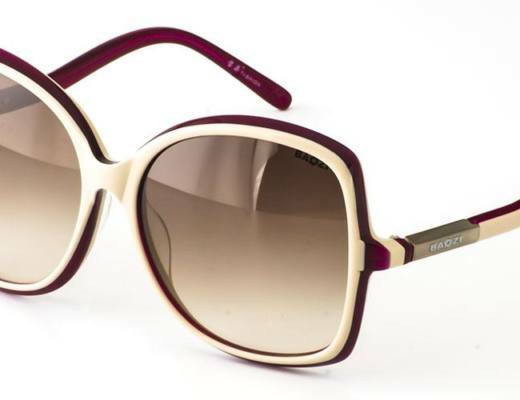 I think they look fab but they are also really practical so win win. My women’s coat is the lovely Coast Waterproof Jacket, I’ve been after a yellow waterproof for a while now and I love this one. It’s not as warm as the girls but with a good jumper underneath it definitely worked a treat, I particularly love the hood. 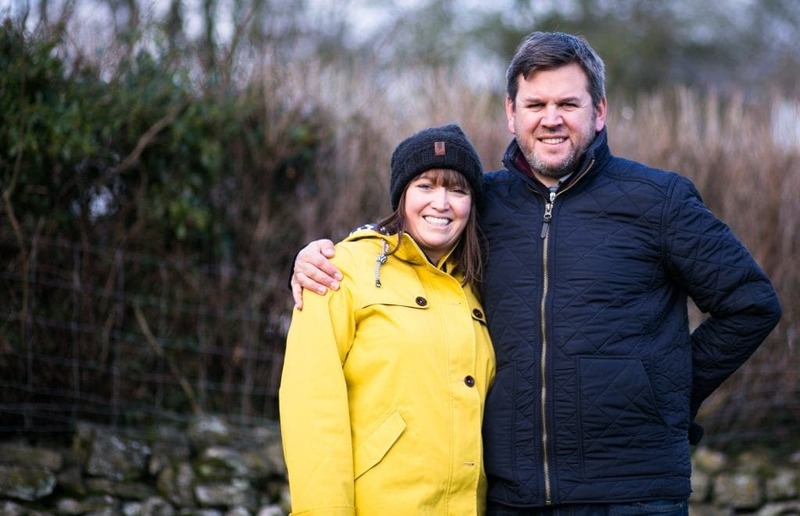 Hubby’s coat is actually from the Warm Welcome collection and whilst not technically waterproof, did keep him dry in the downpours! 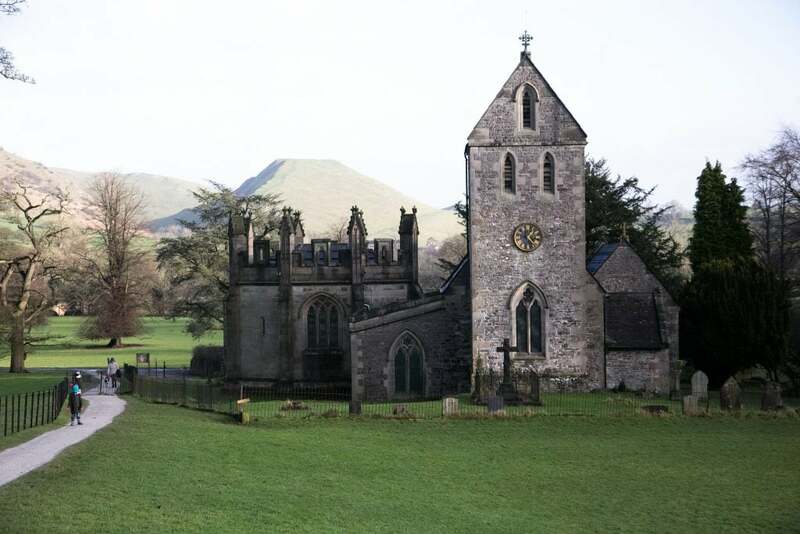 We had intended to walk from Ilam Park to Dovedale Stepping Stones as it’s only a 3 mile round trip and takes approximately half an hour each way. 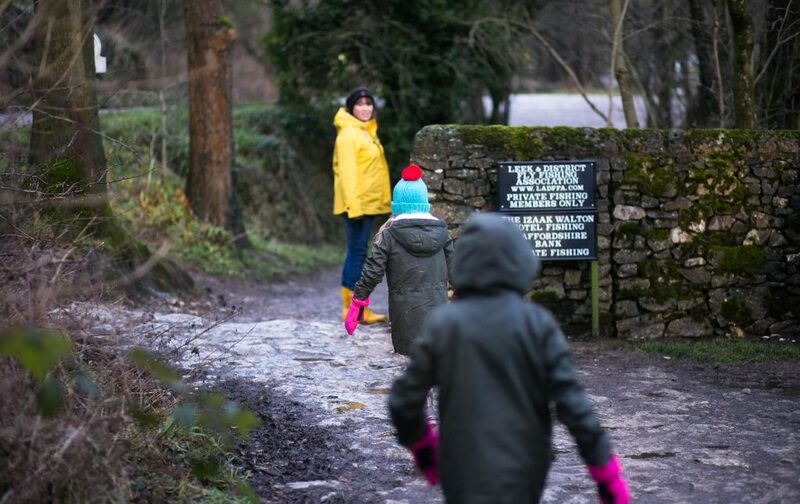 It’s free to park at Ilam Park for National Trust members (so remember your card) and you have to pay for parking at Dovedale so it’s an obvious way round to do it. 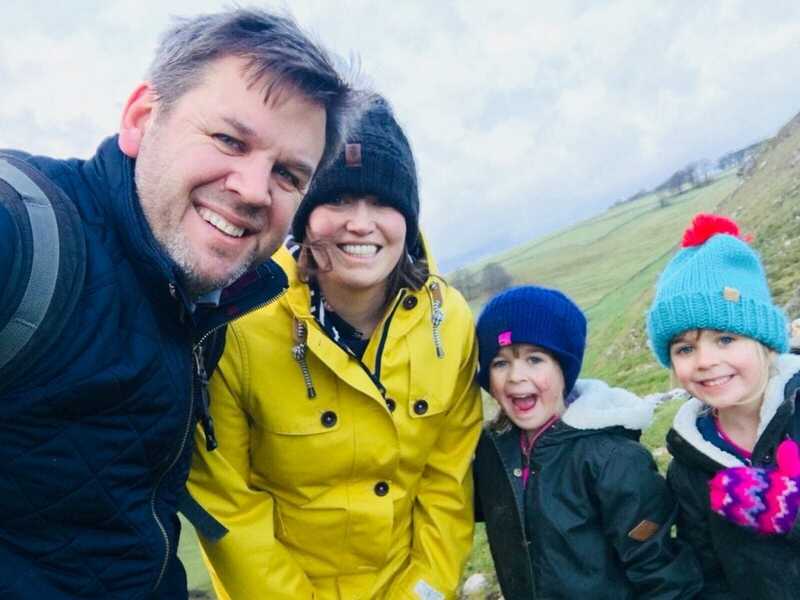 However whilst we set off towards Dovedale in light rain and then had some sunshine we thankfully turned back before the torrential downpour set in; the hill between the two would not have been fun in the complete downpour with our three Mini Travellers. 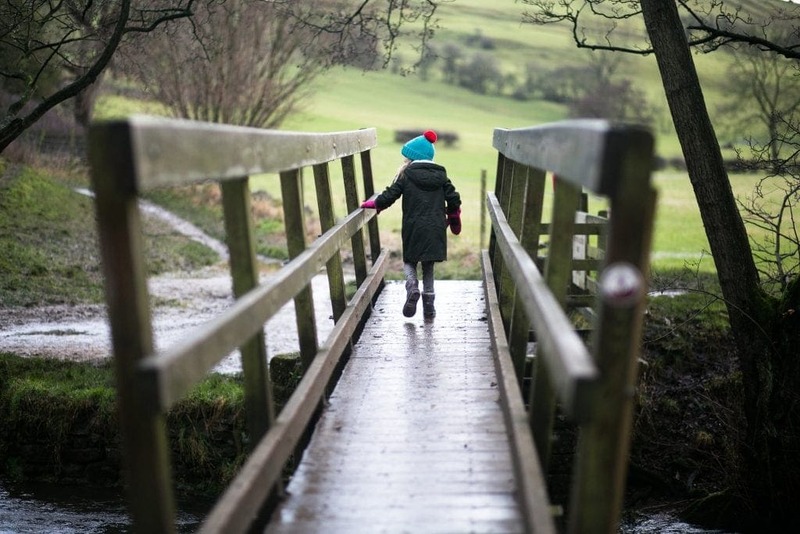 So instead of walking all the way to Dovedale we simply had a little walk around Ilam Park and wandered to the top of a hill (or mountain as the girls like’d to refer to it as !) and then bundled back into the car to head to the pub to dry out. 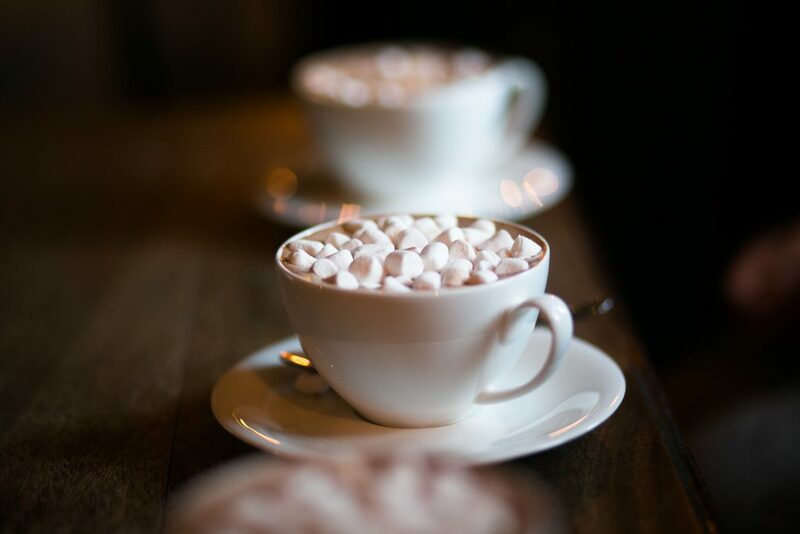 If you ever find yourself in this part of the world you really need to investigate the hot drink menu at the The Old Dog in Thorpe, it does the most amazing hot chocolates with a large list of toppings and many teas and coffees too. I can’t vouch for the food as we arrived after they had stopped serving at 2.30pm but it looked like the sort of place that would do that well too! 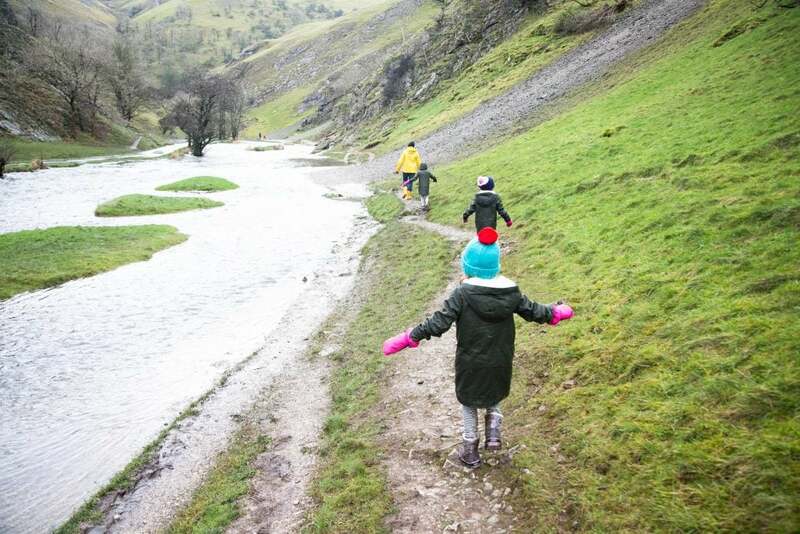 So as we didn’t get to Dovedale on our first attempt we tried again the next day. We drove straight to Dovedale and paid the £3 to park in the car park (you’ll need cash) and wandered the 10/15 minutes from the car park to the stones. It only took that long as the banks of the river were flooded and we had to walk up the river bank sides a few times. It’s a pretty place and definitely an area we want to come back and see in the sunshine. The height of the river meant that we couldn’t all attempt to cross the stepping stones but hubby did without any camera equipment in case he fell in! 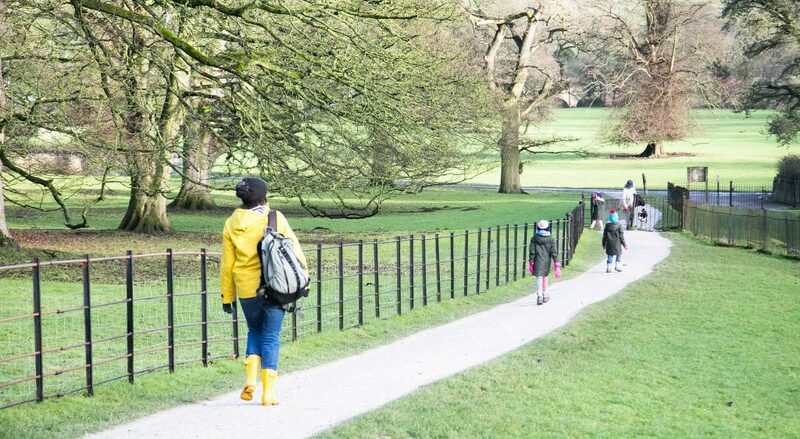 Looking for more National Trust days out ideas? 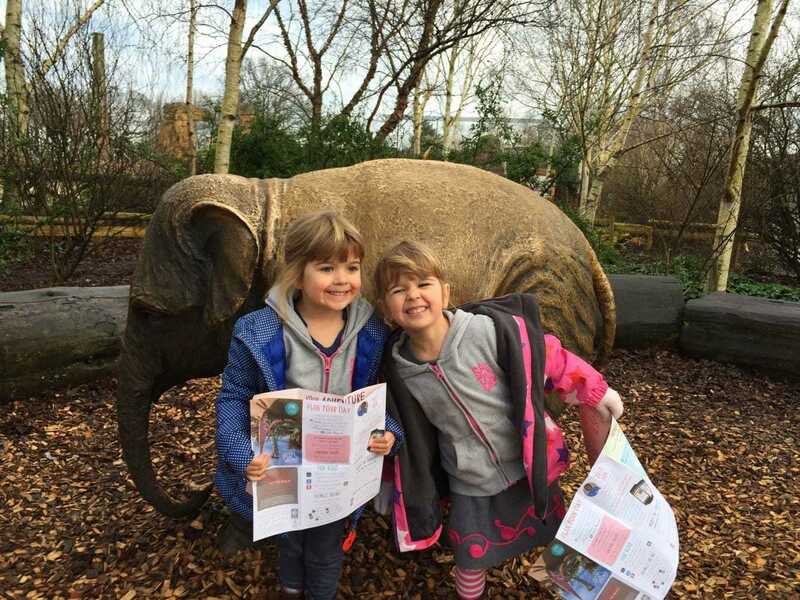 Discover more in my guide to 100 Amazing National Trust Days Out with Kids.